By registering as a member of this website and/or purchasing a product from this website, you agree to being signed up to the MyMusicTheory mailing list. You may unsubscribe at any time. All text, audio, Flash files and musical images on MyMusicTheory.com are the intellectual property of Victoria Williams, owner of the site, unless otherwise credited. You are not permitted to distribute content from this site without prior agreement from the site owner with the exception of paid downloads. Paid downloads may be printed or photocopied without restriction with the condition that the link or reference to mymusictheory.com remains intact. You may not distribute or resell paid downloads or any other material published on this website under any circumstances. No item from this site may be placed on another computer server without prior permission from the site owner, Victoria Williams. We use musical examples taken from the IMSLP database (www.imslp.org.) in good faith that they are free of copyright restrictions. If any breach of copyright is discovered please let us know and the offending material will be removed immediately. Due to the nature of digital products (which cannot be "returned"), no refunds can be issued on PDF files purchased from MyMusicTheory.com once they have been downloaded. You have a 14-day period to claim a refund after payment, providing no download has been made. This website operates under UK law. Please note that preview versions are available for free - please preview the material before committing to purchase. Payment for marking services, including marking which is part of a mymusictheory.com course, must be made in advance, via Paypal, UK bank transfer or cheque drawn on a UK bank. Your marked work will be returned to you within 48 hours (excluding weekends, public holidays and some school holidays). We will mark for up to 1 hour per person per working day. You may ask questions related to the marking (email only) and there will be no extra charge for this. Refunds for marking services already provided cannot be issued. Refunds for funds which have been paid to mymusictheory.com for marking services but which have not been used can be returned to you as long as the sum is £10 or more. Unused sums of less than £10 cannot be returned. We reserve the right to deduct a fee from any returned funds, to take into account the charge made to us by Paypal.com. Mymusictheory.com calculates marking to the nearest minute and will advise you of your balance of time remaining with each change of balance, when marking services. For courses with marking included, you may submit each homework only one time for marking. If you wish to resubmit homeworks for further marking, a charge may be made, at the discretion of mymusictheory.com. 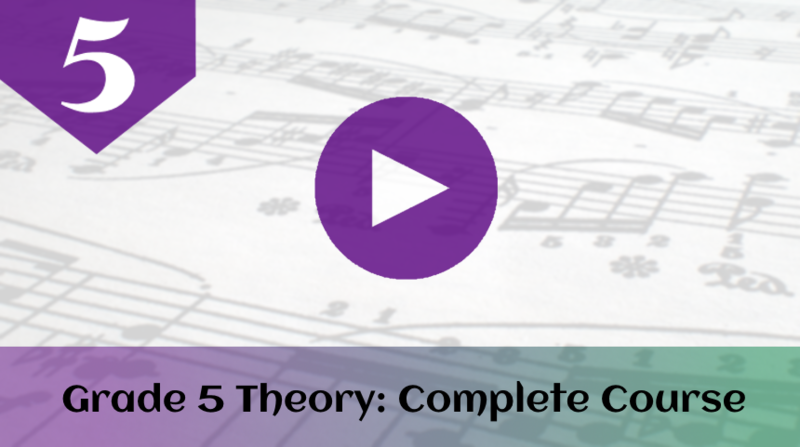 MyMusicTheory does not guarantee exam results of any kind and is not responsible for the exam results achieved by any candidate using the site. These terms and conditions form part of the Agreement between mymusictheory.com and you. Your accessing of this website and/or undertaking of a booking or agreement indicates your understanding, agreement to and acceptance of the disclaimer notice and the full Terms and Conditions contained herein. Your statutory Consumer Rights are unaffected.